There is a saying: Failing to prepare is like preparing to fail. This sentiment can be applied to many situations in many states every day, and estate planning in Nevada is no exception. 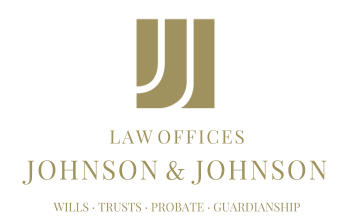 For example, things like failing to properly prepare for the incapacitation of an elderly relative can result in the need for a guardian or conservator appointment by probate court, potentially meaning months wasted and the loss of thousands of dollars. The good news is that, with the help of a knowledgeable estate planning attorney, there are a number of ways to prevent unnecessary asset loss. As in the above example, if durable powers of attorney have not been established and an individual becomes disabled, the family must wait three to six months for probate court to appoint a conservator, which can cost up to $7,000. Likewise, if a person becomes disabled without a health care proxy, probate court will need to appoint a guardian, a process with a similar time frame and expenses. Establishing these ahead of time can save not only money but a good deal of unnecessary stress. Trusts are also a wise approach to asset protection. Probate, on average, takes between 24 to 36 months and can cost up to $20,000, but trusts can help avoid probate. There are also special trusts that can be established for disabled children or adults that allow them to maintain eligibility for public assistance benefits programs while still allowing them to be given assets. From appointing a guardian to avoiding probate, proper estate planning can save residents of Nevada time and money. An estate planning lawyer will be familiar with the many complex tax laws and can help an individual or a family prepare ahead of time to protect assets. For individuals who find themselves unexpectedly in the midst of processes like probate, a lawyer will have the experience and knowledge to guide them through.